The Social Security Administration (SSA) is notorious for denying Social Security Disability (SSD applications from those who actually qualify. This is due in large part to the strict requirements that the SSA requires to show proof of a disability and inability to work, and the sheer volume of applications that it receives on a daily basis. Fortunately, a denial from the SSA is not the end of the road when it comes to getting deserved benefits. If your social security claim has been denied, you should speak with an experienced Los Angeles social security appeals lawyer today. Attorney Tony Adderley of The Law Offices of Tony Adderley has been practicing as a Los Angeles Social Security Appeals Lawyer. His knowledge and experience makes him one of the best social security lawyers in Los Angeles California. Will I Have To File A Reconsideration Appeal To Appeal My Initial Disability Decision? Is The Rate Of Approval On Reconsideration Appeals Even Lower Than On Initial Claims? After a person is denied initially for SSD benefits, the person can appeal to an Administrative Law Judge (ALJ). If the ALJ denies benefits, the applicant can file a Request for Review of Hearing Decision, which will take the case all the way to the SSA Appeals Council. This council can reverse the ALJ’s ruling and grant benefits, uphold the ALJ’s ruling and deny benefits, or send the claim back to an ALJ for another look. All this can be done with the help of an experienced social security disability attorney in California. If the SSA Appeals Council denies a claim, the applicant has further recourse, which is to hire a Los Angeles social security appeals attorney to take the SSA to federal court. So if your appeal to get SSD benefits has been denied by the SSA, contact a disability attorney in California right away. Surprisingly, many attorneys who help their clients fight for disability benefits don’t pursue cases into federal court. 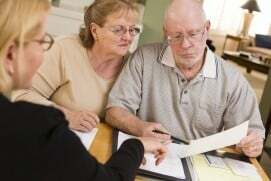 If they are going to partner with a Los Angeles social security appeals lawyer, SSD applicants should clarify with the attorney how far he or she is willing to take the case on the applicant’s behalf. If an attorney believes a claim has enough merit to submit an initial application or appeal, there is no reason why that attorney shouldn’t be willing to present the client’s case before a federal judge. An experienced Los Angeles Social Security Appeals Lawyer like Tony Adderley can handle such a case professionally. Tony Adderley, as a professional advocate of SSD applicants, will represent his clients through every step of a disability appeals process, from initial filing of an appeal all the way into federal court, if necessary. He is one of the best social security lawyers in Los Angeles California. His experienced legal staff can handle claims for disability coverage no matter how complex, and Tony Adderley promises to give his clients the attention they deserve as they try to resolve their SSD benefits claims.